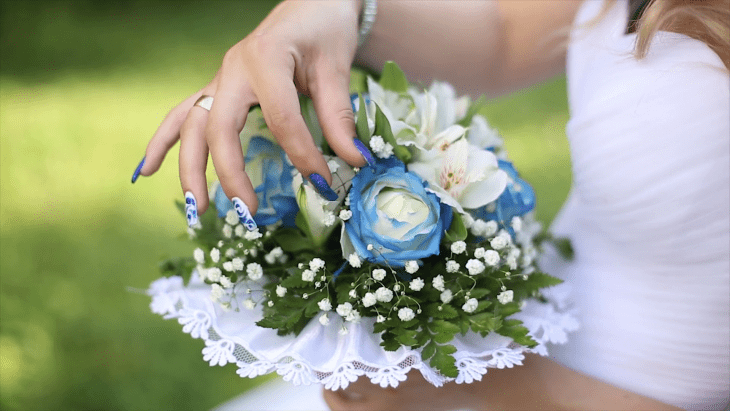 One of the easiest ways to save money and add some DIY flair to your wedding ceremony is to make your own bridal bouquet. Choosing your own flowers is a fun and creative way to personalize your wedding day look, but it can be a bit intimidating if you don’t know where to start. I asked my friend and professional floral designer Chelsea Fuss for her top 5 bouquet-making tips for DIY brides. Check out her great advice after the jump! Don’t obsess too much about flower varieties. Instead, focus on colors and use whatever is in season. It will be less expensive and the flowers will be fresh and at their prime! Order your flowers ahead of time from a florist or grower, then fill in with inspiring stems you see that week. Buy more than you think you need! Not every stem will be perfect. So you’ll want the option of choosing the best in the bunch. Keep in water, in a fridge until ready for use. Keep away from fruits and veggies — they speed up the aging process for flowers. Think outside the box. Consider buying stems of herbs from the grocery, buying a gorgeous jasmine vine and clipping from it or using stems of apples or lemons right off the tree to add to flower arrangements and bouquets. If you want more floral inspiration, check out Chelsea’s blog Frolic, or sign up for her online floral arranging class, which includes a lesson on wedding bouquets! Have any of you Frisky-ers made your own bouquets? 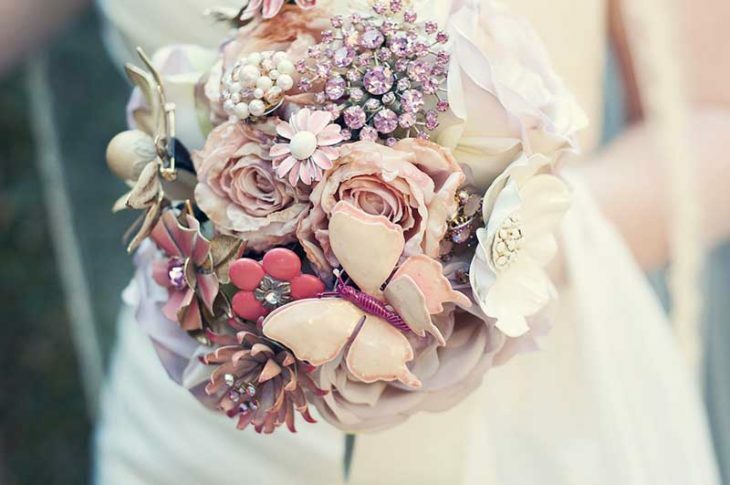 What flowers would you love to include in your wedding bouquet?